← Douglas Horse Tramway stables to be sold off? 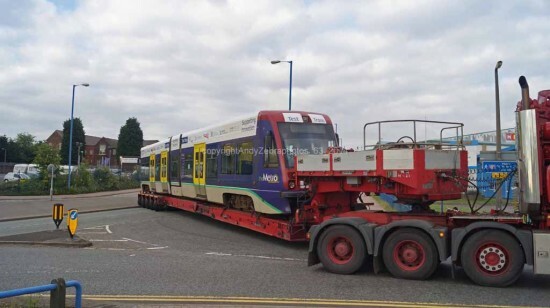 As reported earlier this week 14 became the first of the T69s to depart Midland Metro when it left on the back of a low loader bound for Long Marston where it will eventually be used for testing for UK Tram. 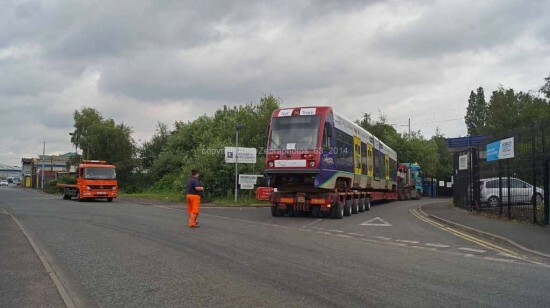 The Italian built LRV arrived at Long Marston in time for a major Network Rail event: Rail Live 2014 where there was a feature on tram-trains. 14 had been unloaded in time for the event and it was on display throughout the two day event, which was a showcase for railway infrastructure. 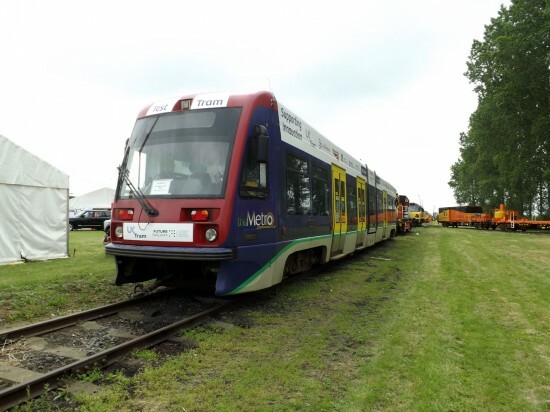 It is understood that UK Tram are planning on establishing a test facility at Long Marston and that now Rail Live has finished it will remain on site for testing although no information has been released as to just what testing will take place. 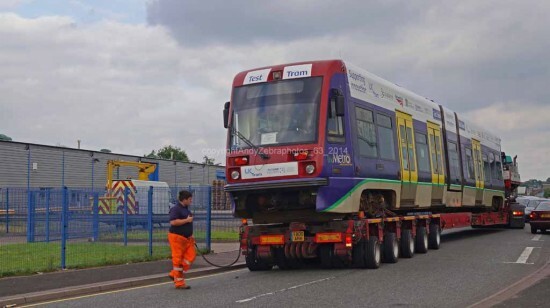 What is likely is that 14 will have run its last passenger journeys on Midland Metro. Thanks to Andy Walters we bring you some more photos of 14’s departure and Glen Dipple also provides us with an image of 14 at Long Marston. 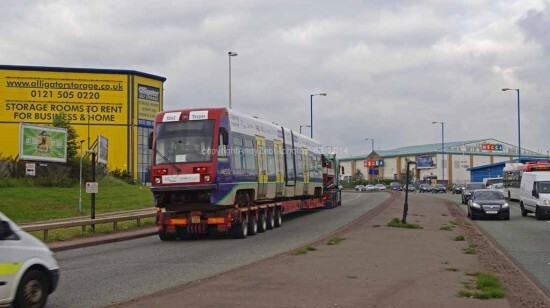 if UK tram consist of centro, GMPTE and other public bodies in the UK how come only midland metro have stored a tram at long marston.